OMG Posters! 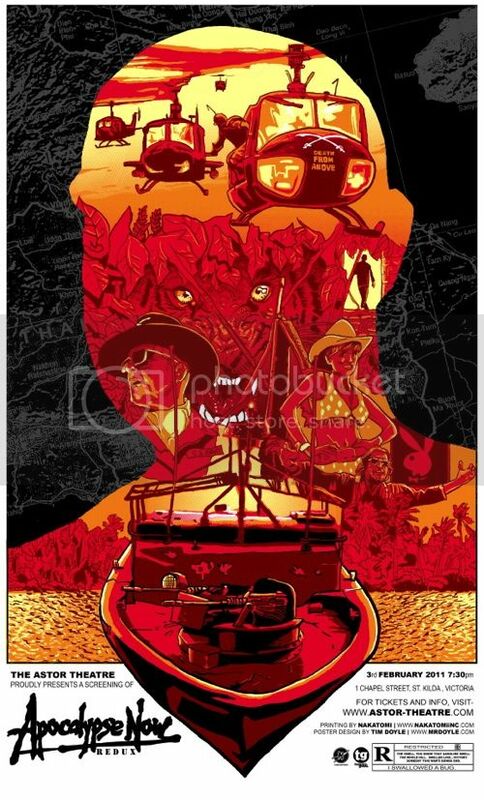 » Archive Tim Doyle's Apocalypse Now Poster (Onsale Info) - OMG Posters! 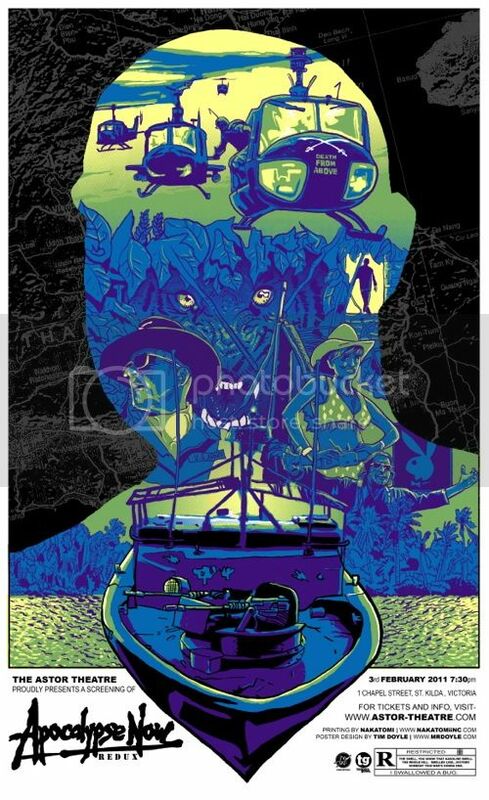 Tim Doyle just completed a new poster for an Apocalypse Now screening at The Astor Theatre in Australia. It’s a 16″ x 26″ screenprint with an edition of 250. There is also a variant with an edition of 65. For onsale details, sign up for the mailing list at TommyGood.com. a doyle caddyshack print would rule. just sayin. these look sort of familiar though, wouldnt you say? I think this is Doyle’s best work by miles. Loving them. Love the art, the movie wasn’t my favorite though. Good luck to those who are after it! I bears some resemblences to the latest Olly Moss Star Wars prints – the way the siluette of a face is used to frame the story and action. Quite elegant. Looks nice. This movie poster trend is being driven into the ground though. If great artists keep making great pieces for my favorite movies, I don’t care. Really great job, the layout and coloration keeping in the spirit of the times (late 60, early 70s). @adamlikesthings – Just ordered one of each FYI. I think I am going to put them in in a single frame side by side. Thanks for the idea! Just went up. Looks like they’re already gone.